“Indeed we revealed the Qur’an on a blessed night, verily We are ever-warning. On this night, every matter of wisdom is ordained” (44:3-4). 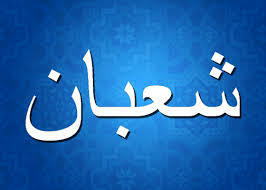 The fifteenth night of Sha‘ban is an important night in the Islamic calendar. In Arabic, this night is called ‘Layla Nisf Sha‘ban’, meaning the ‘middle night of Sha‘ban.’ It is also called Layla al-Bara’a or Shabe Bara’at, (Shabe is Persian for night), which means ‘the night of immunity’. The night is so called because Allah Subhanahu Wa Ta ‘Ala offers immunity from the fire of Hell for those who repent to Him sincerely on this night. For centuries, Muslims have spent the fifteenth night of the Holy month of Sha‘ban in worship, both individually and collectively.